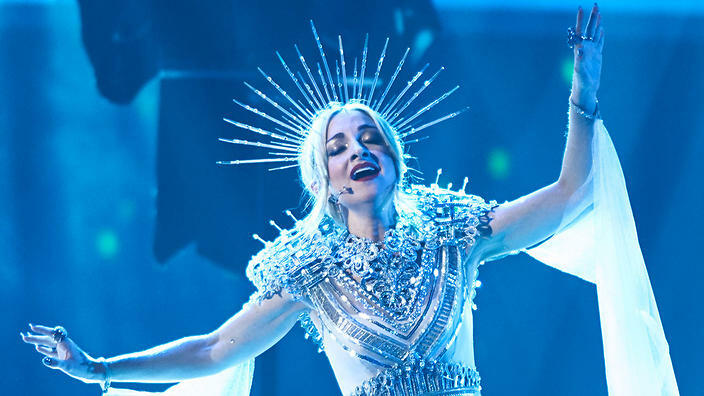 The announcement of singer-songwriter Kate Miller-Heidke’s win at last Saturday’s inaugural Eurovision – Australia Decides on the Gold Coast drew an overnight metro viewing audience of 298,000 for SBS. The announcement ranked #10 of the night on Australian television. In addition, the event’s performances reached 282,000 for a ranking of #11, while the votes section saw 261,000 overnight metros tune for a ranking of #14. Miller-Heidke topped the jury and public votes with her song ‘Zero Gravity’ to represent Australia at the Eurovision Song Contest in Tel Aviv, Israel, in May. Electric Fields took out second place with their song ‘2000 And Whatever’ being awarded 114 points overall, while Sheppard came in third place with ‘On My Way’ on 87 points. Josh Martin, commissioning editor at SBS, added: “This could seriously be the year that Australia wins Eurovision! “Kate’s performance tonight was quite simply breathtaking and the response from the Australian public has been overwhelming. Paul Clarke, creative director of Eurovision – Australia Decides, commented, “It’s a win for out of the box brilliance, which Eurovision devours. “It’s a standout song with mesmerising staging. ‘Zero Gravity’ was inspired by a “low” period Miller-Heidke went through suffering postnatal depression after the birth of her two-year-old son Ernie. She was joined for Saturday night’s performance by acrobat Emma Waite of Melbourne performance arts troupe Strange Fruit. The singer-songwriter commented of Waite, “She is powerful yet vulnerable. She is everything the song aspires to be. “During rehearsal, we talked about the shadow self (the parts of yourself you dislike and try to hide), and how if you can get in touch with your shadow and incorporate it fearlessly into your outward being, it can be immensely powerful. “At the beginning of the song, Emma represents the black dog, the unwanted voices in my head, negative and unhelpful thoughts. She admitted to having a “costume disaster” with the dress she wore onstage, and which had been made in three days. Eurovision – Australia Decides was presented at the Gold Coast Convention and Exhibition Centre to a live audience in association with the Queensland government via Tourism and Events Queensland and the City of Gold Coast.